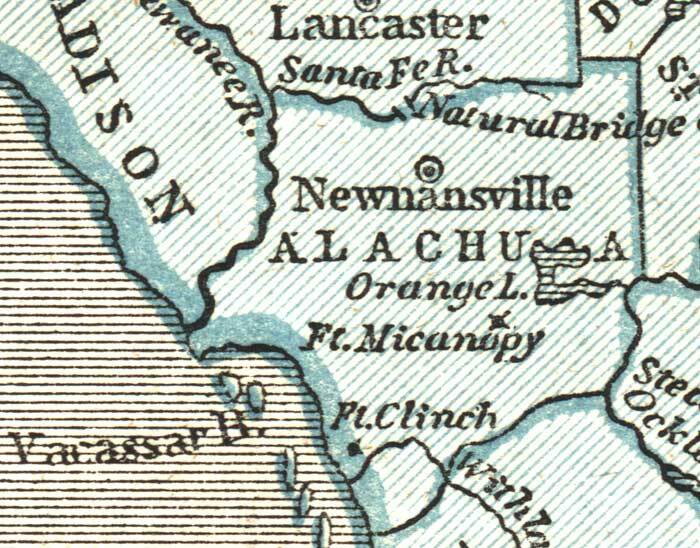 Alachua County as shown on Sidney E. Morse's 1845 A System of Geography for the Use of Schools. Of interest, this map is the first school atlas to make use of the cerographic process, also created by Morse. This process allowed an original of the map to be drawn as a positive, unlike earlier ways of creating maps, which required the original to be a negative image of the map. It had significant impact on mapmaking and became a widely used process.